On February 6, 2009, Grammy-winning recording artist Neil Diamond will be honored as the 2009 MusiCares Person of the Year during the 19th Annual Gala Benefiting the MusiCares Foundation. 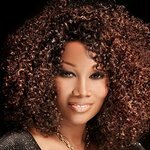 Proceeds from the annual Grammy Week gala dinner and concert honoring Diamond will provide support for MusiCares, which ensures that music people have a place to turn to in times of financial, medical and personal need. The legendary “Solitary Man,” “Sweet Caroline,” and “Song Sung Blue” singer/songwriter will be honored as the MusiCares Person of the Year not just for his artistic achievements, but for his philanthropic work as well. Diamond has been very generous in his charitable donations over the years and most recently has been donating 100 percent of merchandise sales from his October concerts in Houston, Dallas and Oklahoma City to the hurricane relief efforts in Texas for areas ravaged by Hurricane Ike. 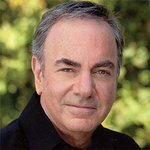 “As we enter the next 50 years for The Recording Academy and the Grammy Awards, and approach the 20th anniversary of our MusiCares Foundation, it is fitting that we honor a most enduring artist and songwriter whose musical influence is truly unmatched — the extraordinary Neil Diamond,” said MusiCares Foundation President/CEO Neil Portnow. The 2009 MusiCares Person of the Year gala will include a special online auction – using real-time bidding technology – to be broadcast live worldwide on Auction Network. The silent/live auctions will be followed by the gala dinner, an award presentation and a tribute concert. For information on purchasing tables and tickets to the event, contact Dana Tomarken at MusiCares, 310.392.3777 or go to the MusiCares website.